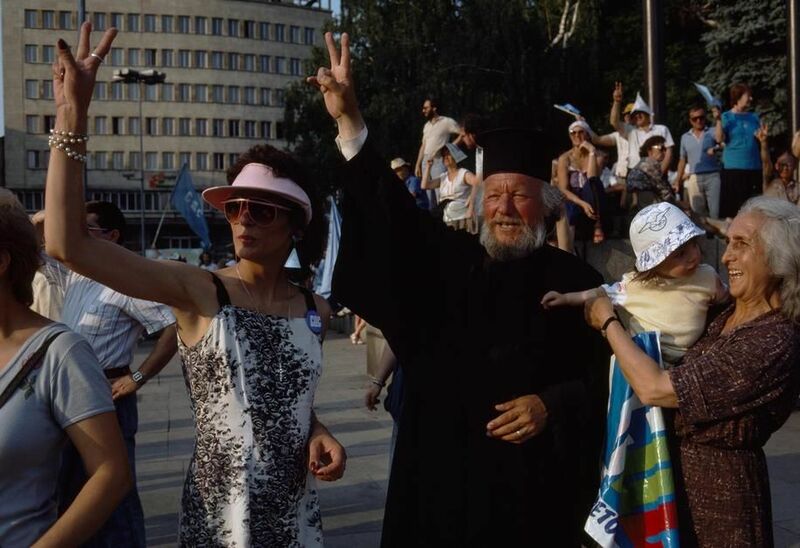 A Russian Orthodox priest strikes for democratic change in Sofia. 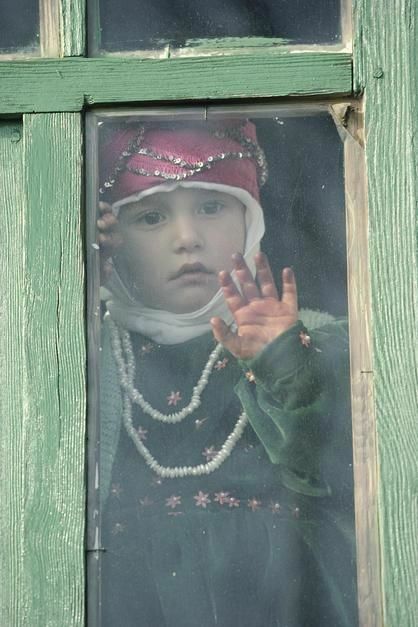 A young Turkish girl looks out of a window in Sogut Golu. 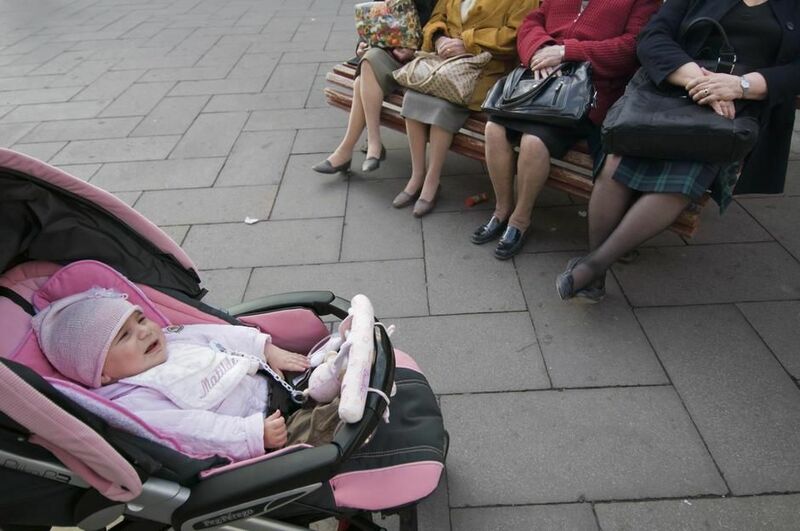 Elderly ladies sitting on a bench looking at a baby in Venice. 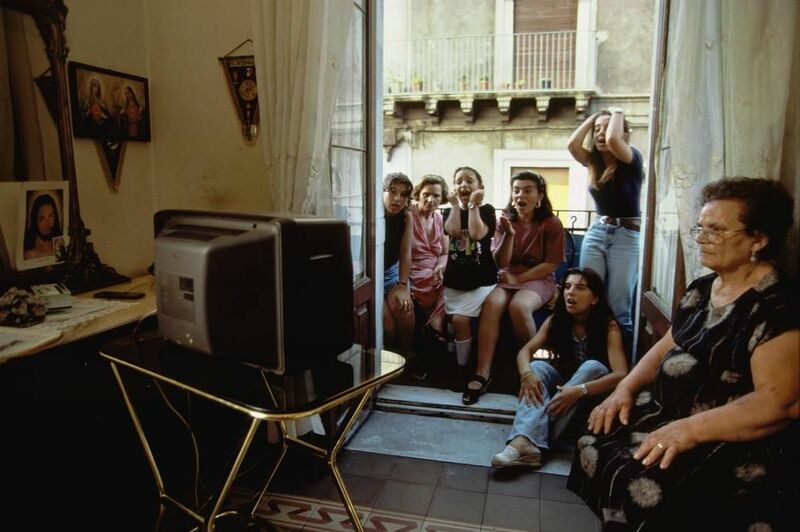 Maria Anastasi and her daughters watch Italy play Nigeria in the World Cup soccer match of July 1994. 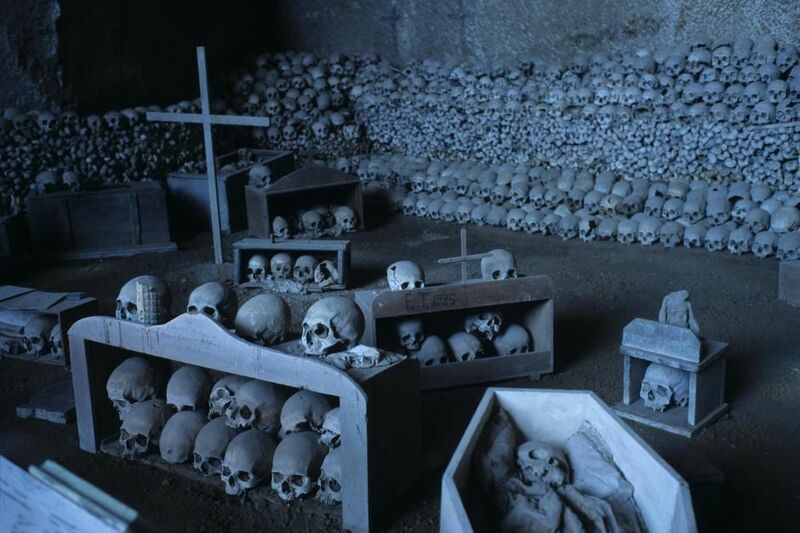 Maria lives in a three-room apartment in a poor Catania neighbourhood, Sicily. 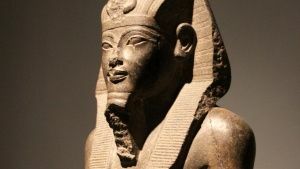 This day in 1926 saw the first public demonstration of television. 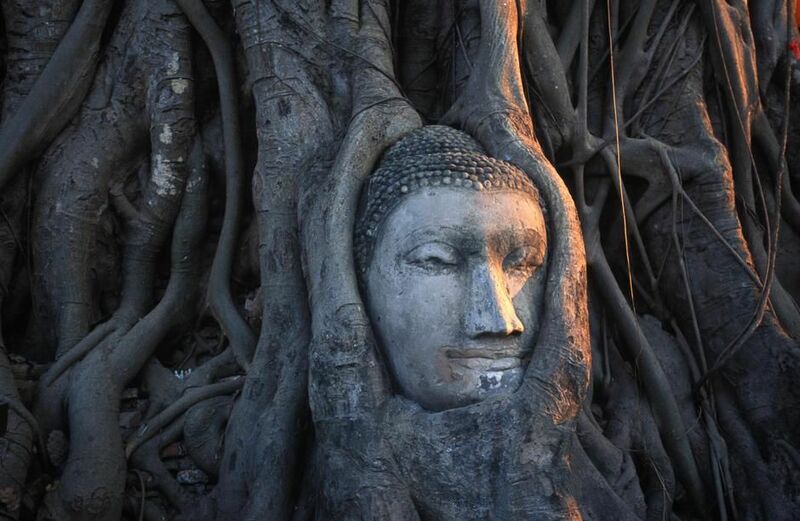 Sunlight falls on a tree root emtwined head of a Buddha statue in Wat Phra Maharthat, Ayuthaya. 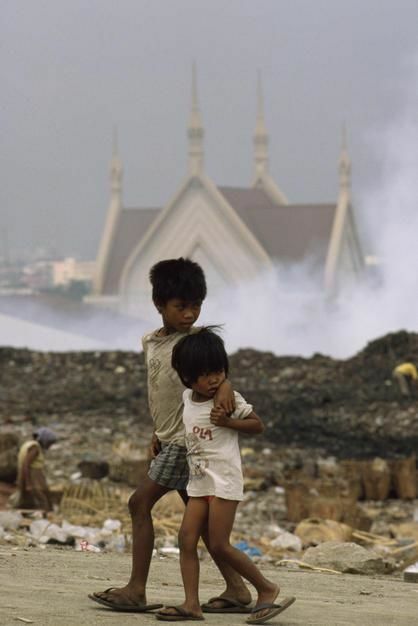 Children walk past Manila's Smoky Mountain on Luzon Island. 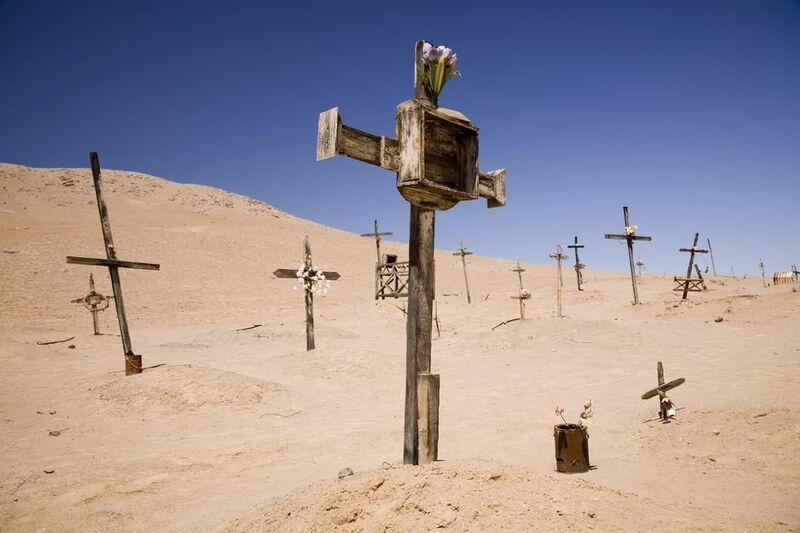 A cemetary on the Pacific coast of Chile's Atacama Desert. 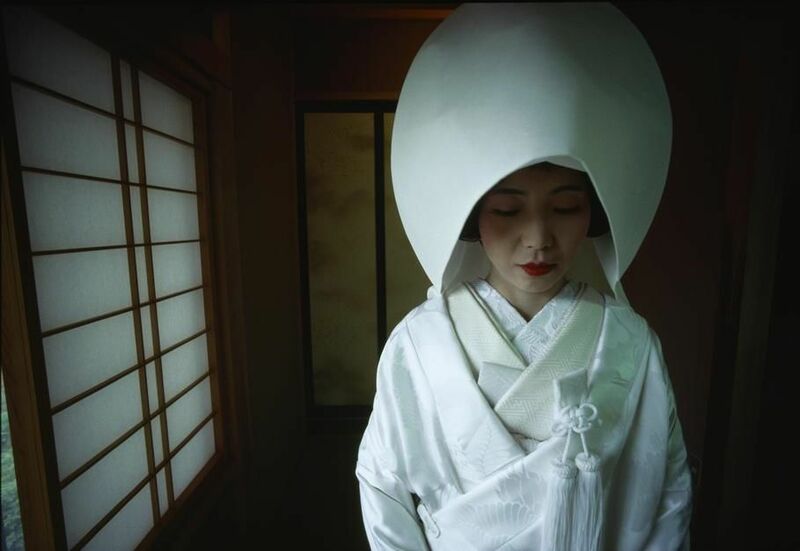 An informal portrait of a Japanese woman in traditional dress. 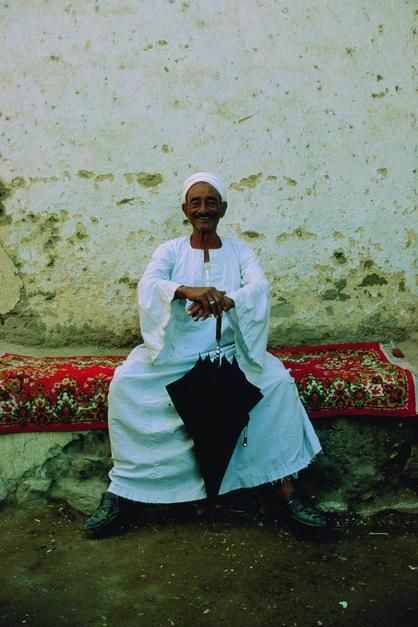 Portrait of an Egyptian man holding an umbrella in Deir el Gharbi. 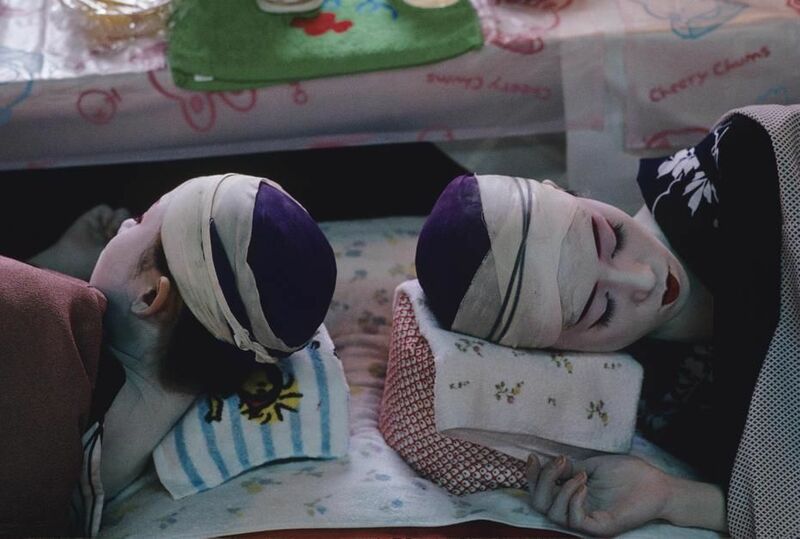 House windows are latticed to shield the women inside from view in Jidda. 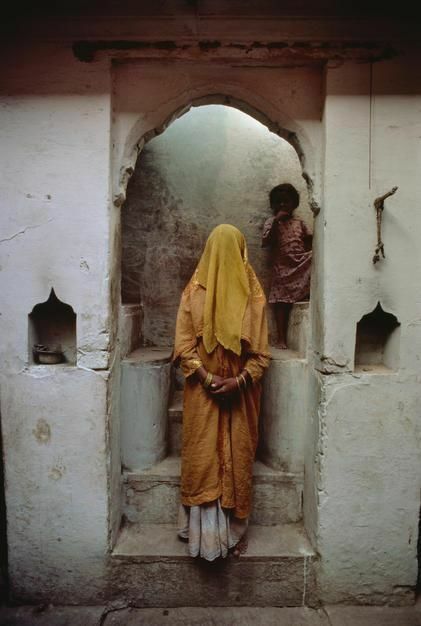 A silk dyer's wife presents herself in purdah for a portrait in her home, Varanasi, Uttar Pradesh State. 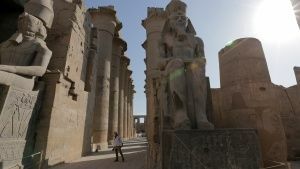 Prayerful woman at Hindu fire-walking ceremony called Teemeethi. Today is Martin Luther King Day. 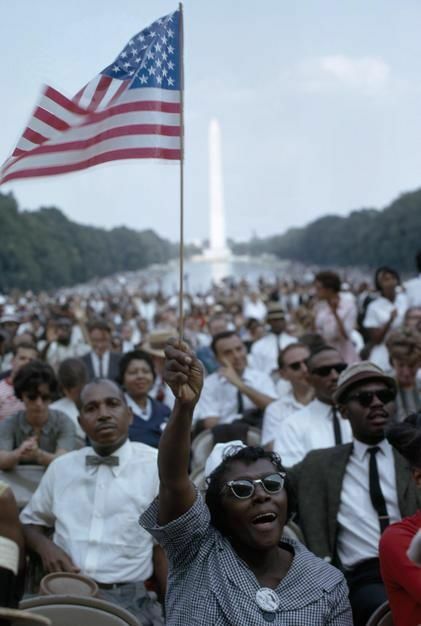 Here freedom marchers gather at the Lincoln Memorial. 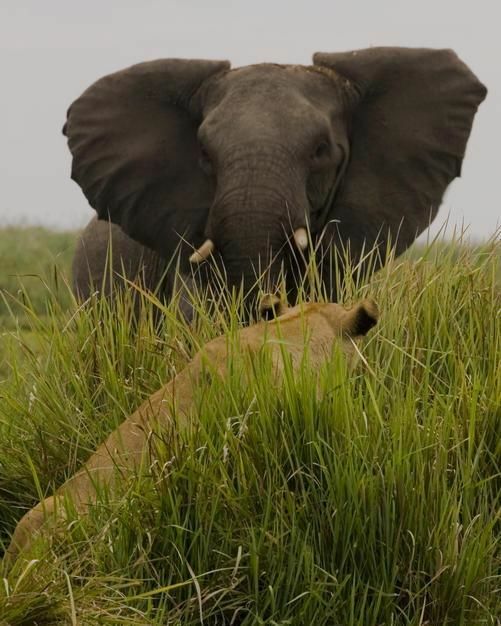 African elephant in aggressive defense posture in front of a lion in the grass, Duba Plains, Okavongo Delta. 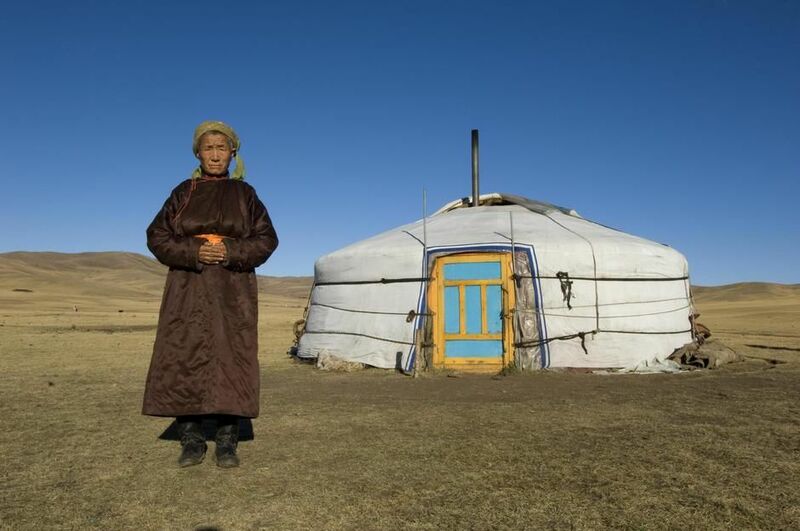 A mongolian nomadic woman at her yurt in Erdene Soum. 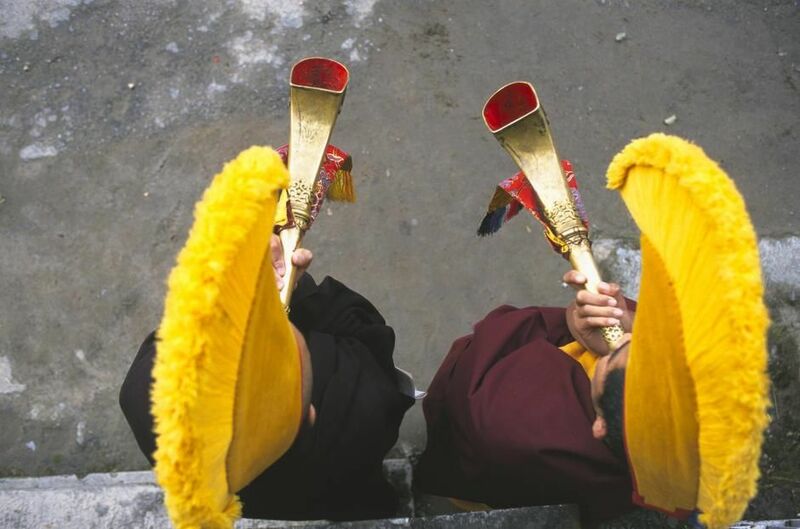 Monks in yellow hats blow horns at a fire puja at Nechung Monastery, Dharmsala. 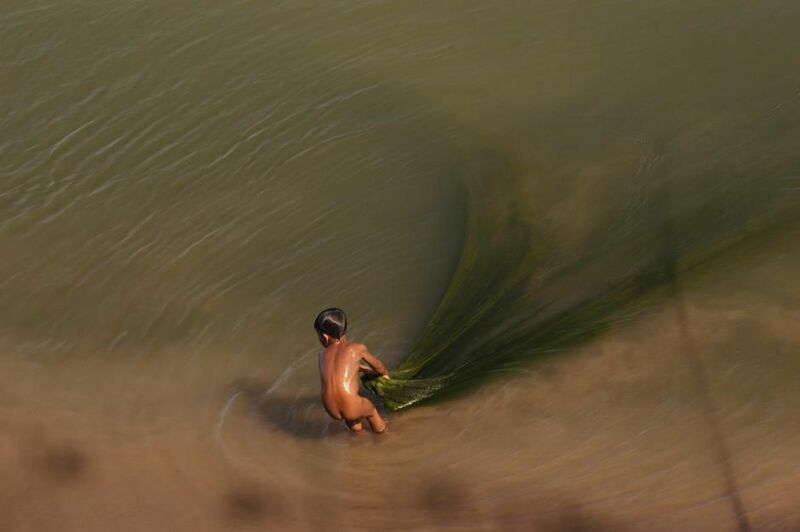 Near the temples of Vat Phou in the quiet village of Champassac a child pulls algae from the murky waters. 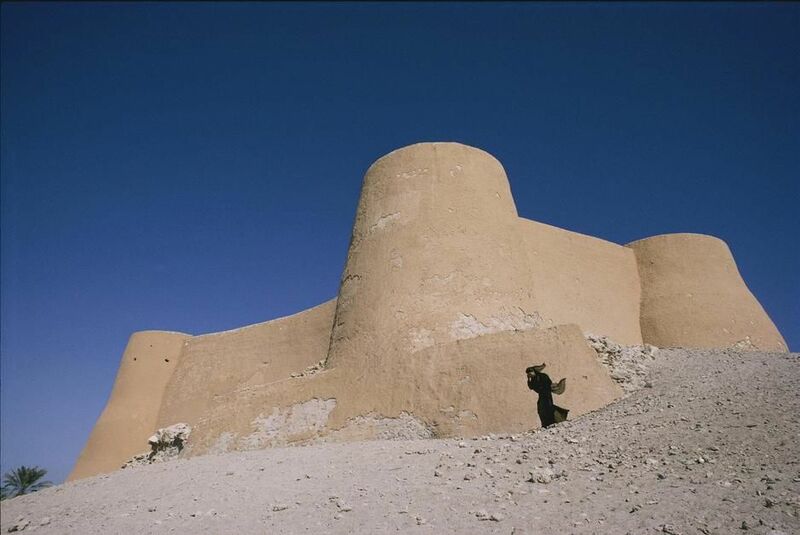 A fort encloses a spring now used by women for bathing and laundry on Tarut Island. A young monk blows a chewing gum bubble leaning on a Yamaha, Hemis Monastery, Ladakh District. 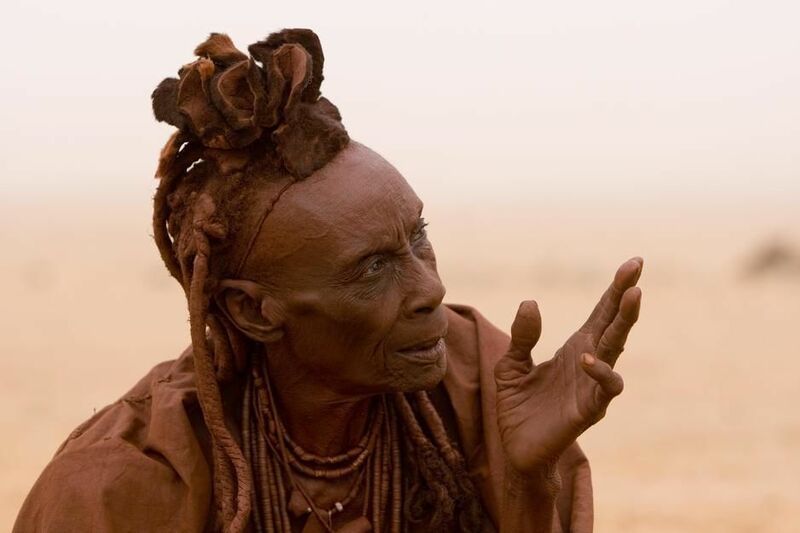 A portrait of a himba elder woman in Hartmann Valley. 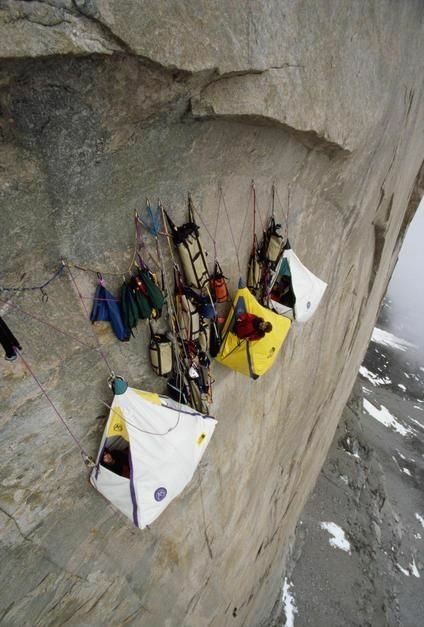 Portaledges protected by an overhang from falling rock and ice, Great Sail Peak, Baffin Island. 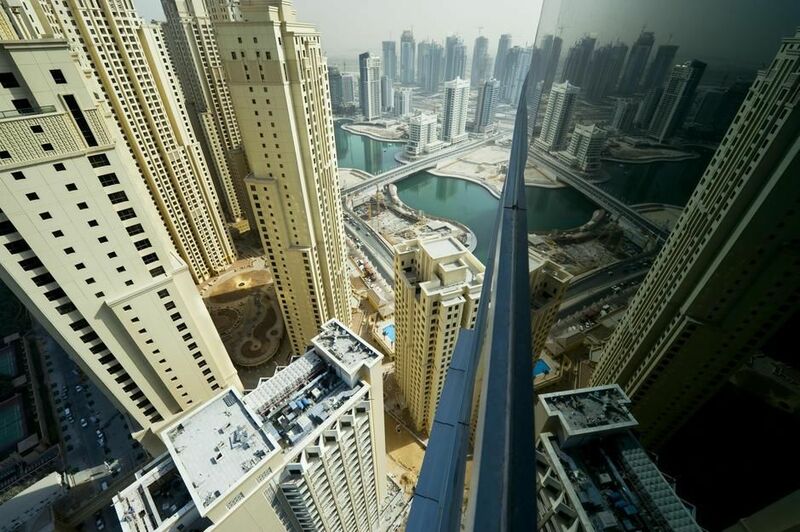 Cityscape of high rises and waterways in downtown Dubai. 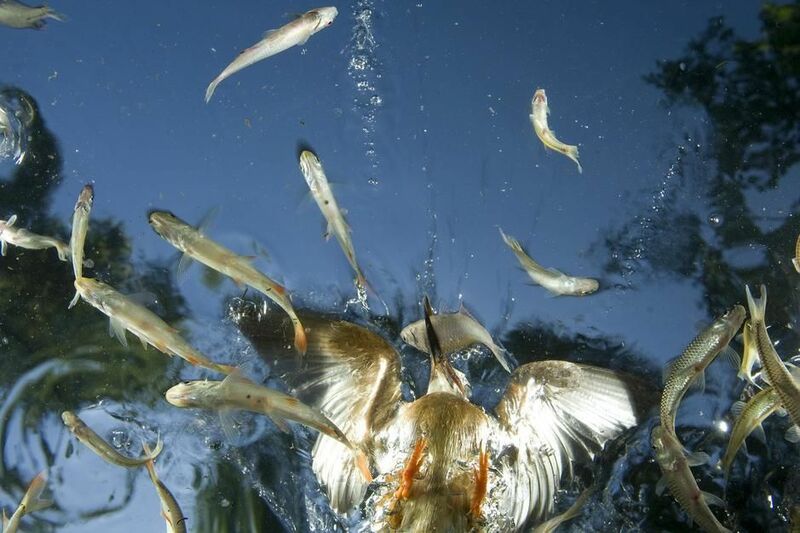 Adult male common kingfisher catching amur bitterling in Labod. 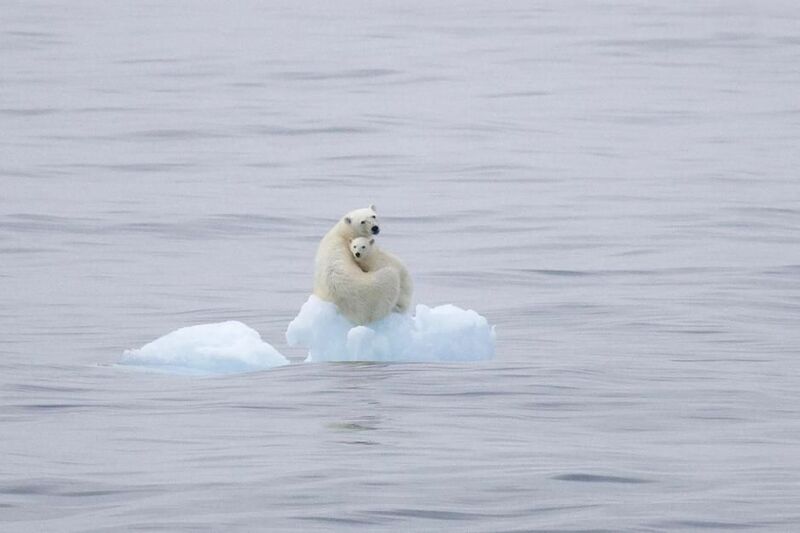 Polar Bear and cub on a flating hunk of ice, Olga Strait, Svalbard. 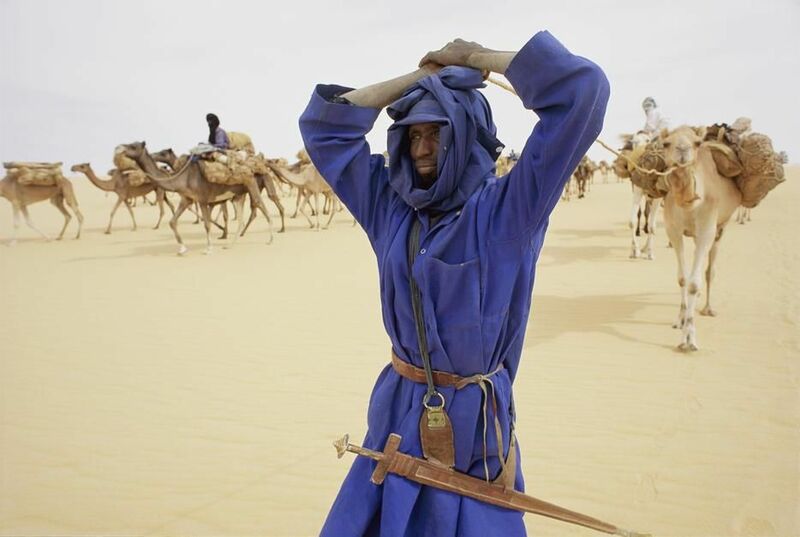 A member of the salt camel caravan, near Fachi. 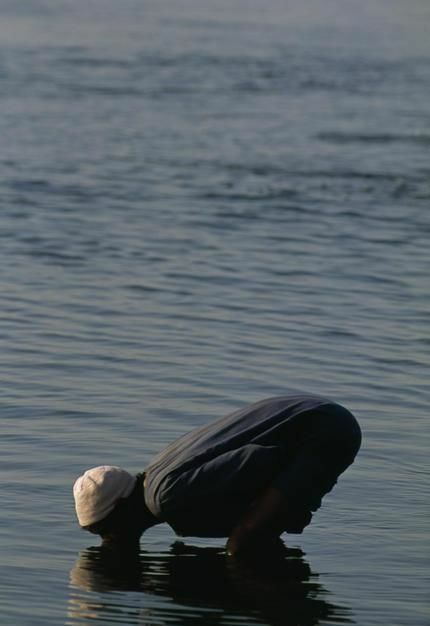 An Egyptian drinks from the River Nile. 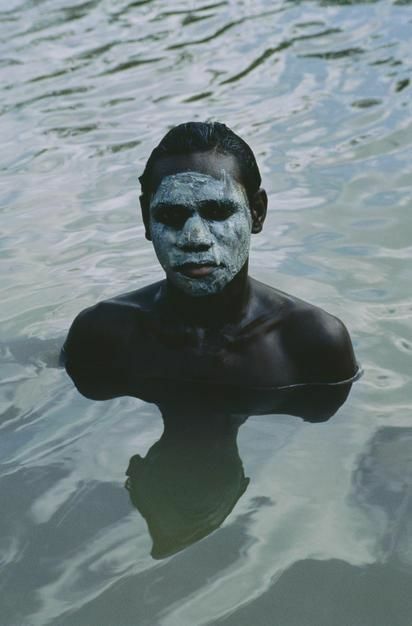 Aboriginal teen with a mask of mud, swiming in a billabong, Cape York Peninsula, Queensland. On this day in 1856 the first underwater phtoograph was taken. 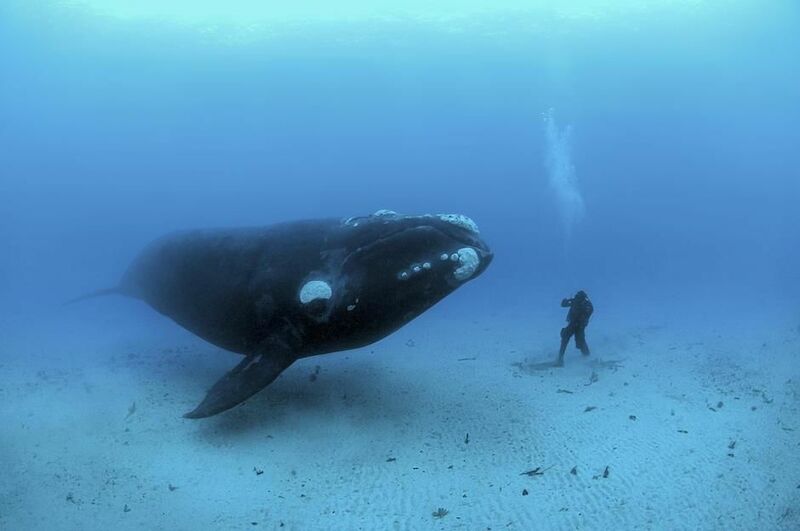 Here Southern Right Whales, underwater off the Auckland islands.